Twice a year, our kids put on a great show of musical and theatrical greatness. Support our children and join us for a fabulous presentation from our children and preschoolers. Since Hurricane Michael spoiled our plans for Fall Festival, we're coming back with our Spring Celebration of Hope! 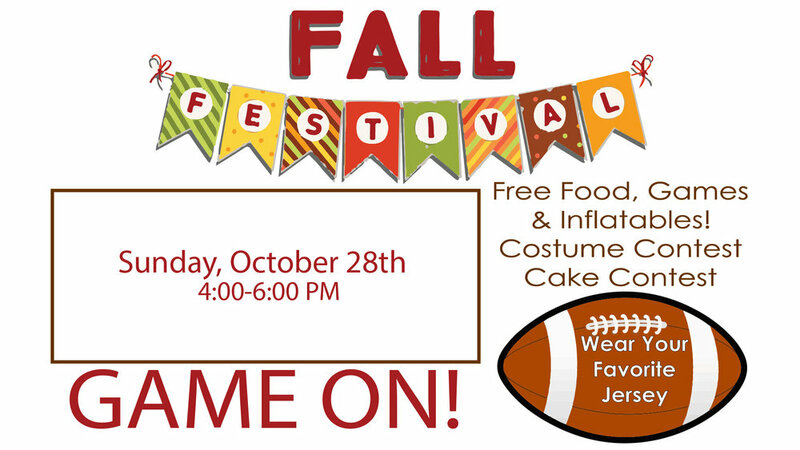 There will be inflatables, games, giveaways, free food, and much more! We hope you'll join us to celebrate hope! It’s that time of year again! Join us Sunday evening for a special service recognizing our graduating seniors. To register a child or to sign up as a volunteer for our Downtown Campus, click HERE. To register a child or to sign up as a volunteer for our Youngstown Campus, click HERE. Want to be more involved with church budget and structure? 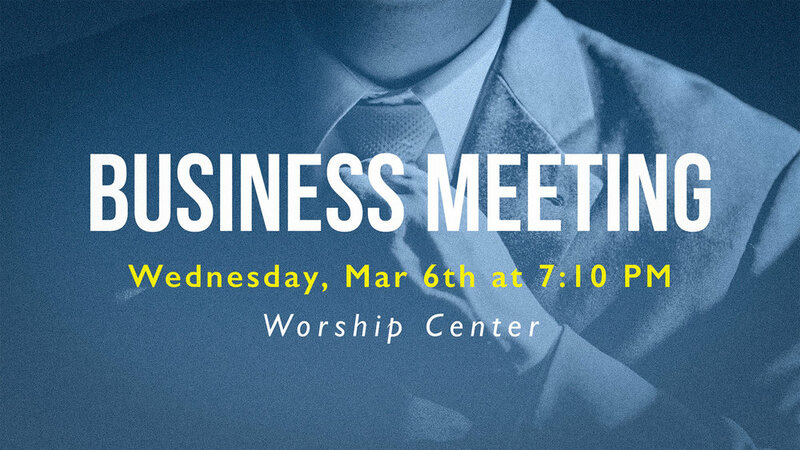 Stay after Wednesday night discipleship for a quick business meeting in the Worship Center. That’s right! Spring discipleship is starting back up! A list of the different opportunities can be found under the Discipleship tab. One of the most special times in the life of the local church is when the we come together to worship the Lord through the Lord's Supper. Sunday evening, we will be doing just that. Come and bring a friend with you as we experience the presence of our Wonderful Savior. Parent Child Dedication Sunday is a special day in the life of our church and the young families that participate. Bring in the new year with worship, games, food, and fun. They might even get a little sleep. Middle schoolers grade 6-8 welcome! We know your Christmas Eves are busy with parties and cookies and wrapping and baking, but make our Christmas Eve service a part of your tradition and join us as we worship our Savior and celebrate the birth of our King! This is a special night every year as we get to see our children praise the Lord, recite scripture, and show off their theatrics, but we are even more thankful this year as they have worked extra hard to pull this off through the craziness of hurricane aftermath. Come out and support these kids. You will be blessed! 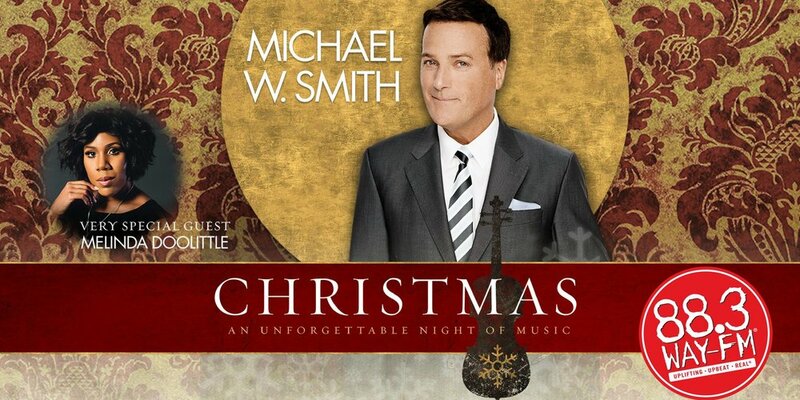 First Baptist is excited to host the Open For Christmas Tour with Michael W. Smith and special guest Melinda Doolittle! Come celebrate the true reason for the season as Michael W. Smith sings all your Christmas favorites! Join us for an afternoon of fun for the whole family! There will be free food, games, and inflatables. Also featured will be a cake contest and costume contests! At Thrive Weekend Retreat, 6th-12th grade students will discover what it means to truly THRIVE for Christ! This action packed weekend is full of beach games, worship, speaking, and small group bible studies that will challenge students to take their faith seriously and empower them to share the gospel with their friends. $75 Due Upon Signing. *Price per person, based on double occupancy. Add $195 for single occupancy. Young women, from high school to their 30's, are invited to join us for a special Saturday event. Hear testimonies you can relate to from other ladies and get encouragement from their stories as they share God's faithfulness in life's experiences. Tickets are $5, lunch is provided. The WMU Fair Craft Trade of World Crafts develops sustainable, fair trade business among impoverished people around the world and makes an eternal difference for those artisans. This event is an opportunity to come purchase from World Craft. Refreshments are provided. 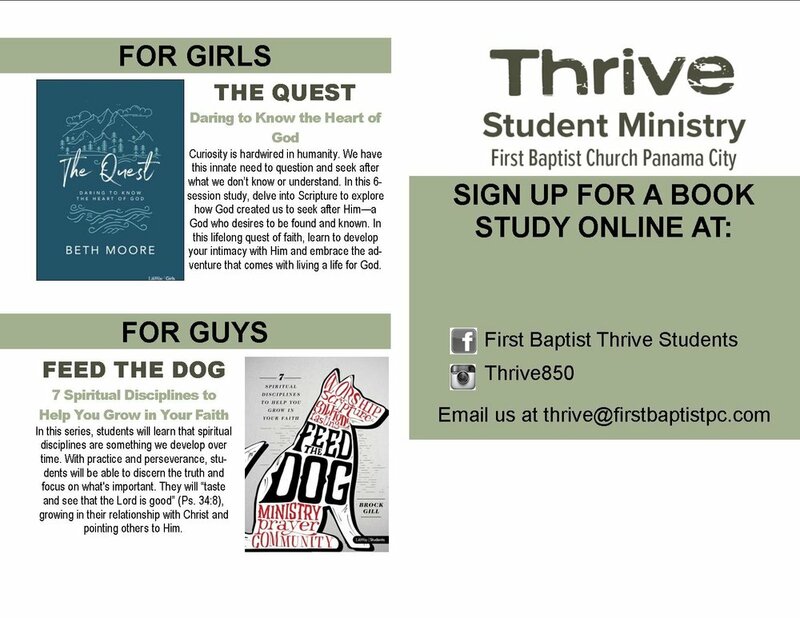 THRIVE Student Ministry is kicking-off our 7 week Small Group Book Studies September 9th! This is an awesome opportunity for students to dig into their relationship with Christ as they are lead by Small Group Leaders through intensive studies. Sign up in advance by Thursday, September 6th.